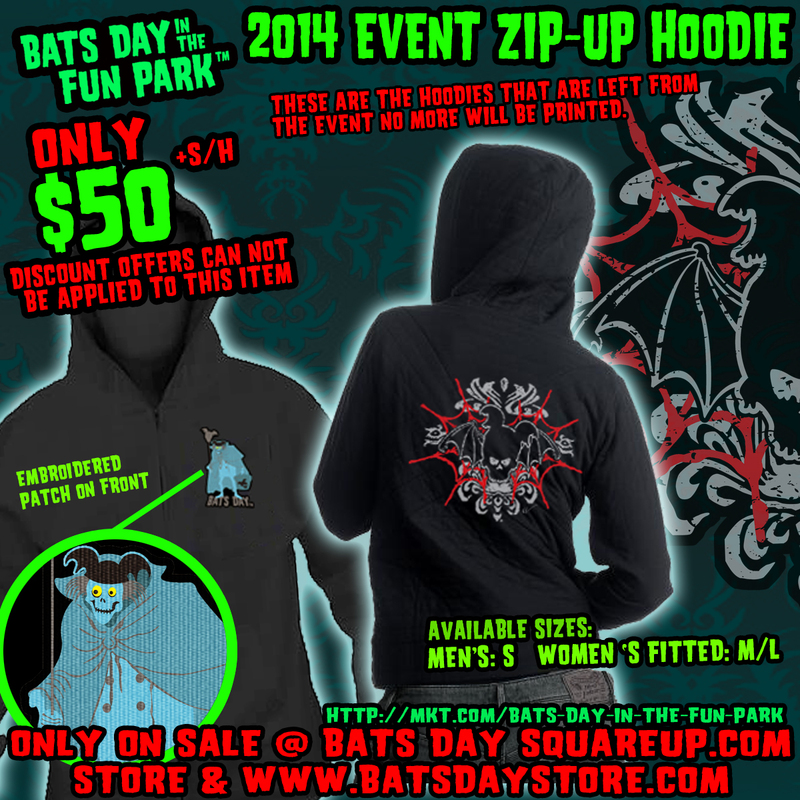 Welcome to the New Items page for the Bats Day Online Store. 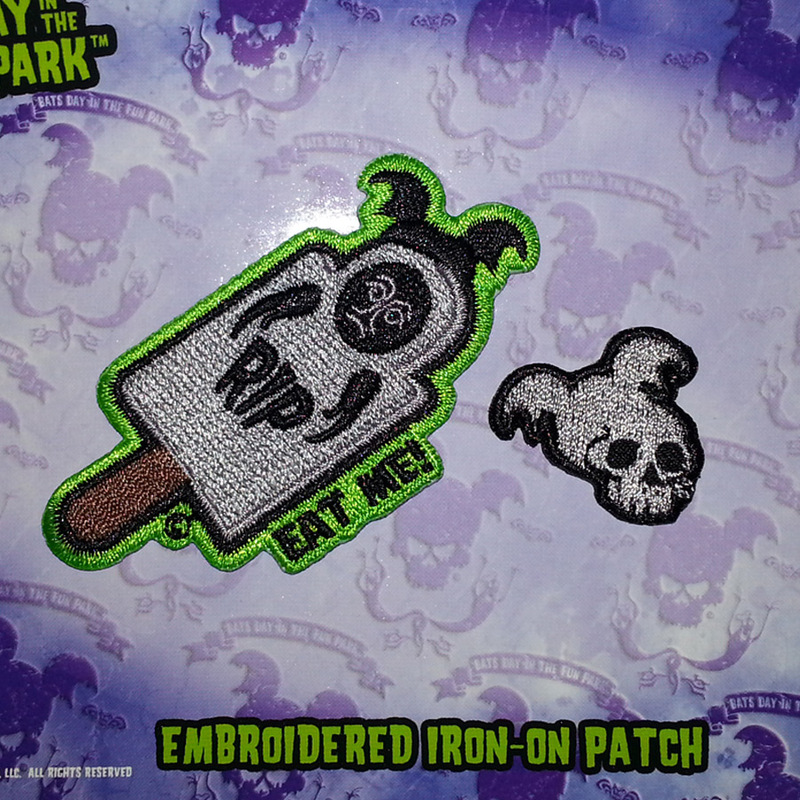 Here you will find all of our new items that you can find on our online store. 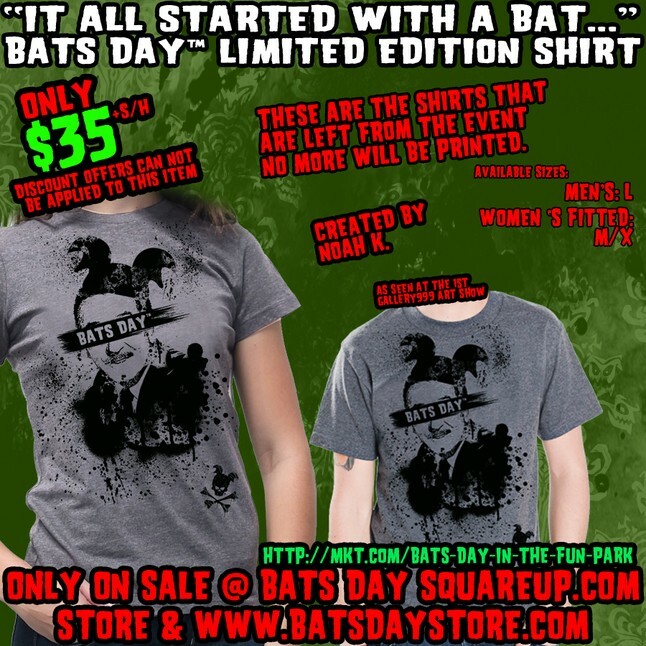 These items and all Bats Day items can be found on our online store on Squareup.com. These are shirts that were left over from the event. These are hoodies that were left over from the event. 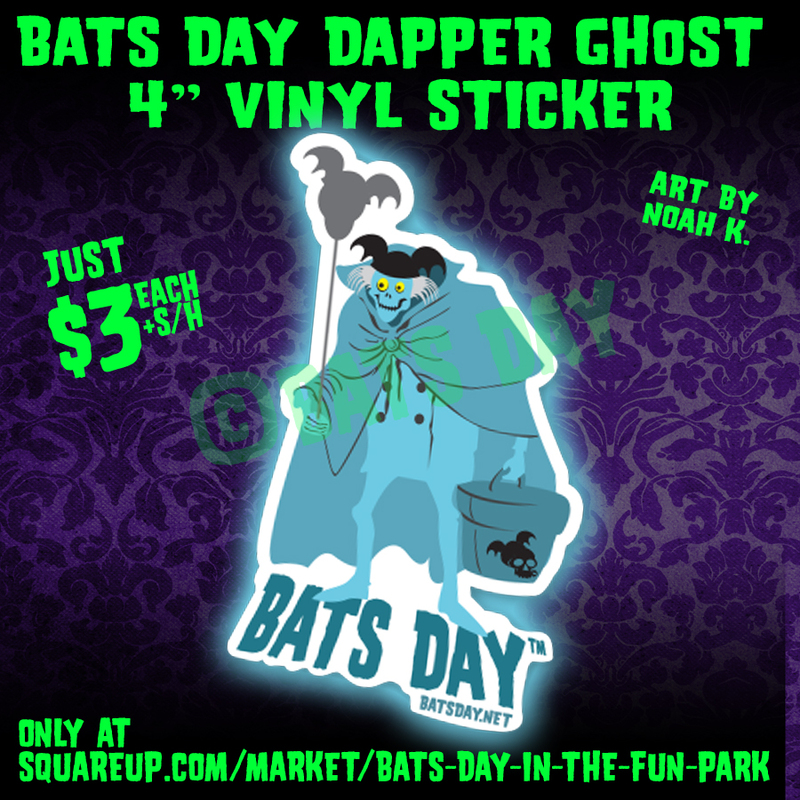 Our Dapper Ghost is all ready to go to Bats Day with his Bats Day Ears, Balloon and Hatbox. Display him proudly. Makes a great gift. 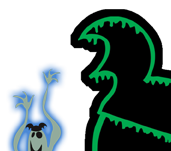 You wont have to worry about this sticker weathering when you stick it on your car. Thick, durable vinyl with a UV laminate that protects your sticker from scratching, rain and sunlight. A great way to display your love and support for the independent artist. Makes a great gift. You wont have to worry about this sticker weathering when you stick it on your car. Thick, durable vinyl with a UV laminate that protects your sticker from scratching, rain and sunlight. 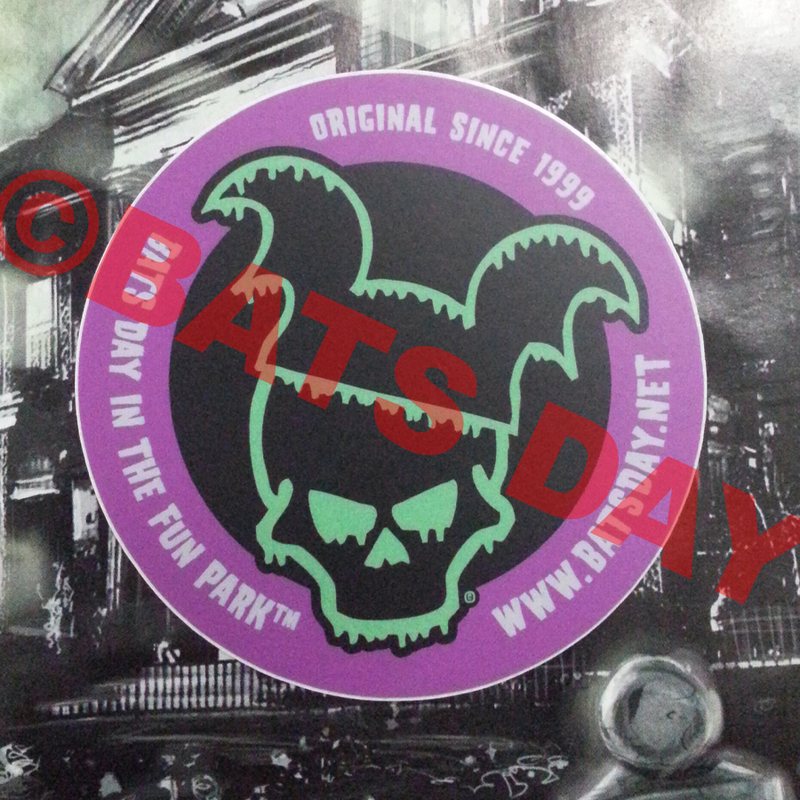 The original Bats Day logo is now a great 3" sticker. 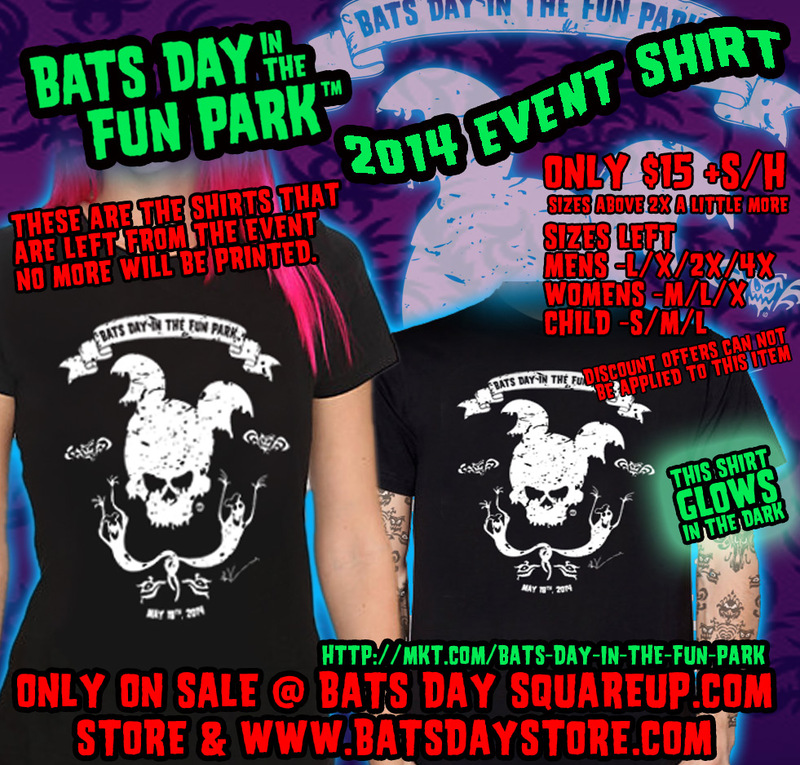 A great way to display your love and support for the Bats Day in the Fun Park events. Makes a great gift. 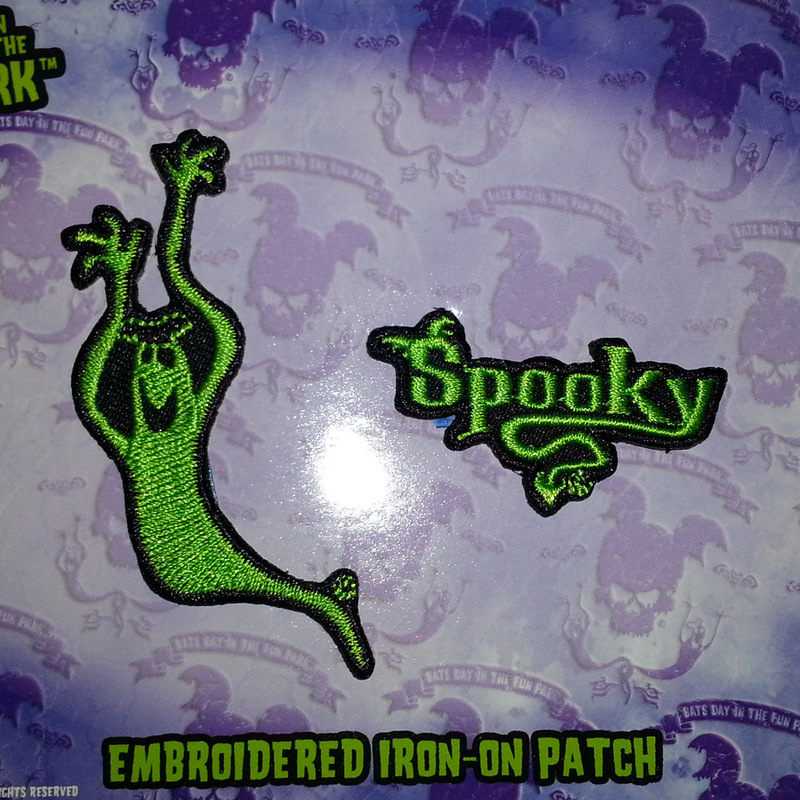 You wont have to worry about this sticker weathering when you stick it on your car. Thick, durable vinyl with a UV laminate that protects your sticker from scratching, rain and sunlight. 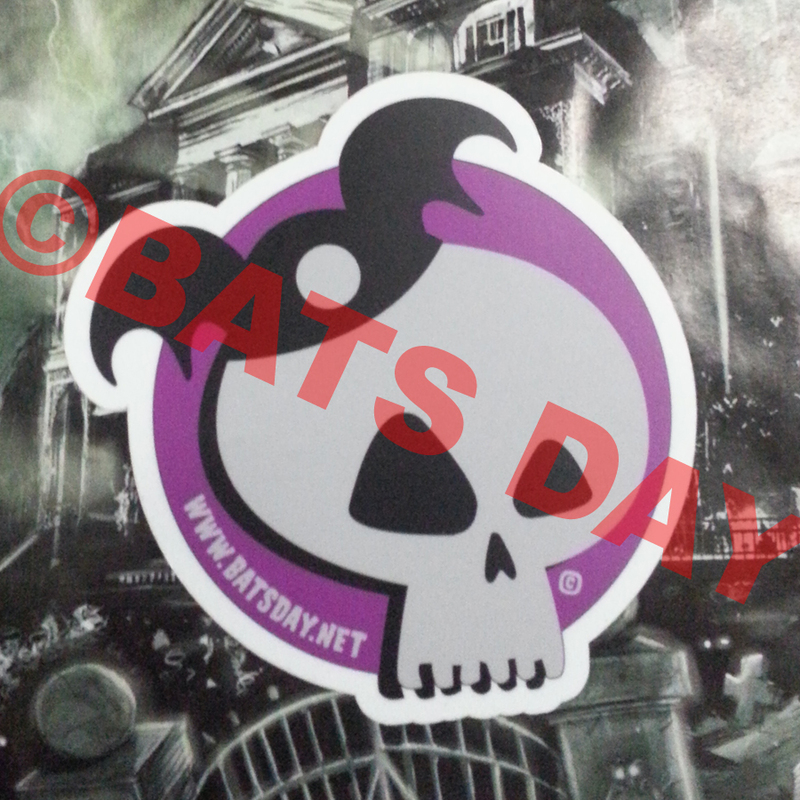 The Bats Day Cartoon logo is now a great 4" sticker. 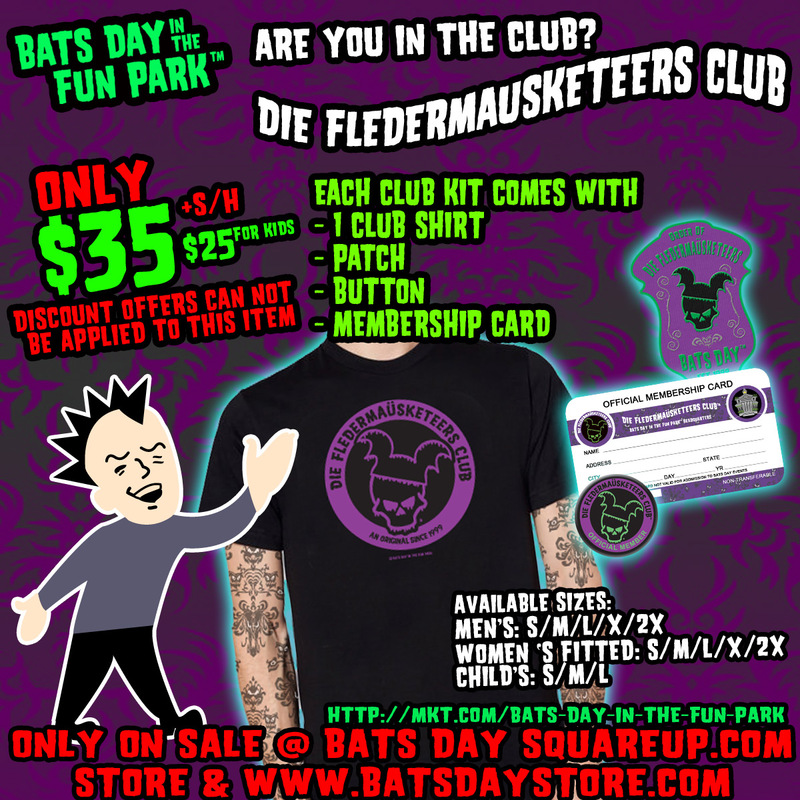 This was an exclusive at this year's Bats Day Black Market. 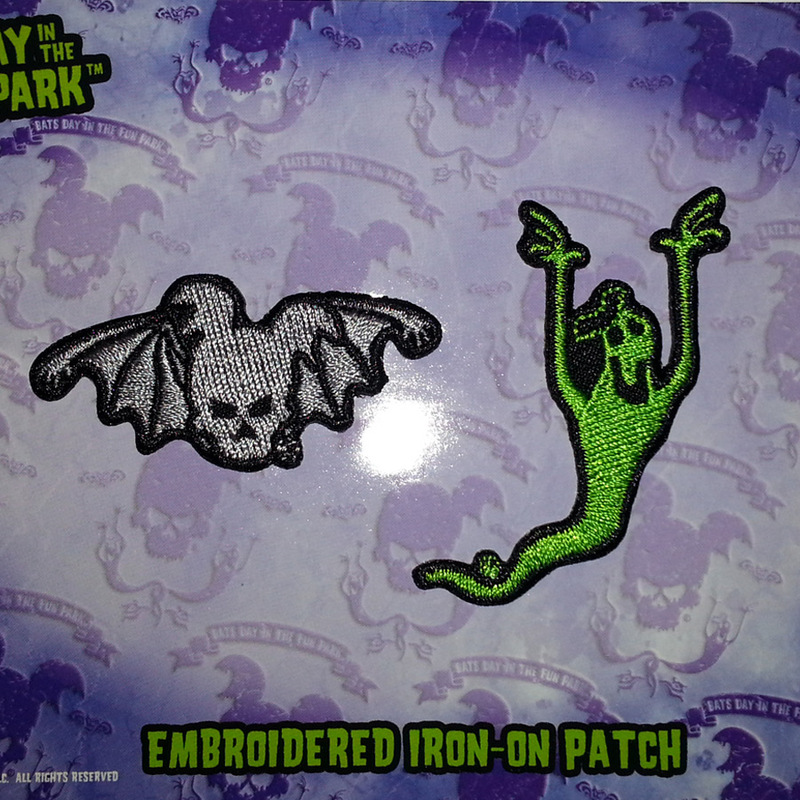 Only 75 of each patch was made. 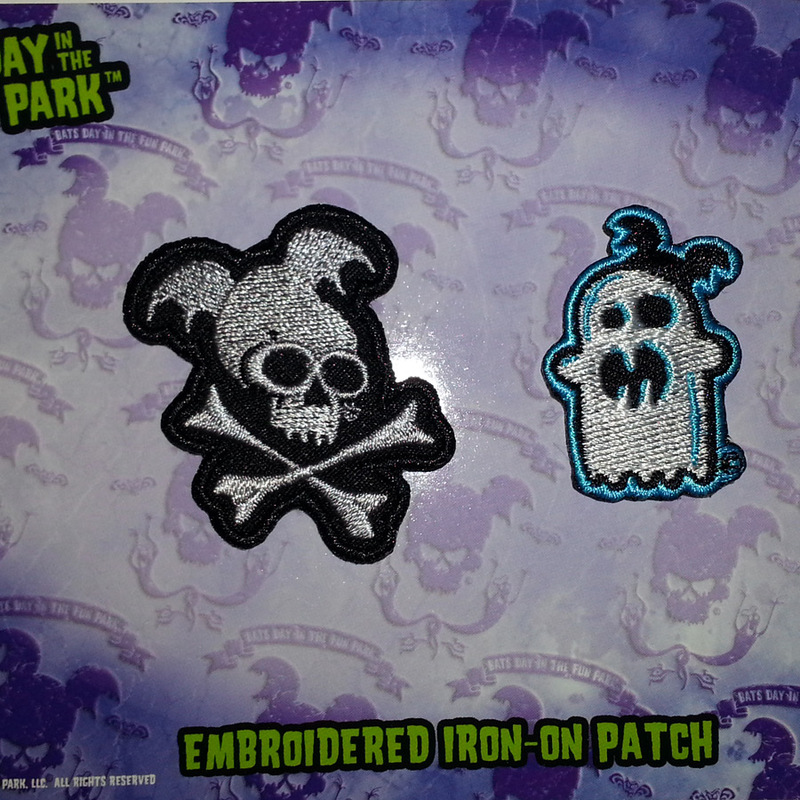 This is from a series of 4 patch sets. Dont miss out.